Georgina Hope: Want else do you want it to do. Want else do you want it to do. 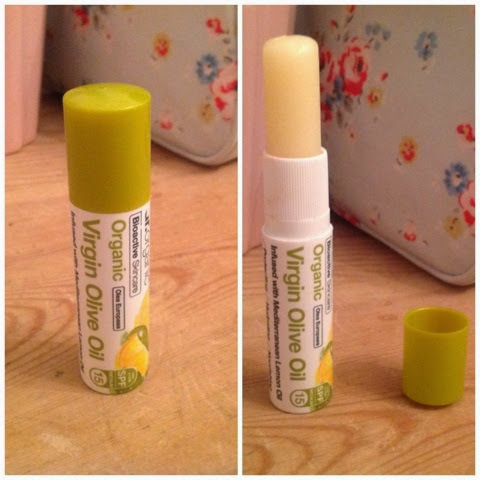 Dr Organic- organic virgin olive oil lip salve. I love this product because like all of Dr Organic products all the ingredients are organic. This time of year I go through lip salve like no ones business. I have been using this one for days and it doesn't seem to be going down. There are lots of lip salves on the high street. This one is fantastic as it doesn't add a gloss to the lips so suitable for men as well. It just adds a bucket load of moisture to your lips. I don't no about you but that's what I am after when it comes to lip salve.